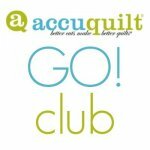 Anxious to get using your AccuQuilt cutter and dies? Need inspiration for projects that use the equipment you have purchased? Join us once a month for projects that utilize the AccuQuilt system! Come expand your horizon with your Baby Lock IQ. We will create appliques and a continuous quilting all with your exclusive IQ Designer. Quilters assume bargello patterns are difficult. Not so. They?re very easy. This class shows how you can sew strips of fabric together to create the appearance of movement. If you can sew a straight seam, you can do this! This class will teach you binding techniques for curves, unique angles, and two color bindings. Kit Required. Prerequisite: Basic binding knowledge. Make your quilts look like they were done on a long-arm. Learn the edge to edge method of quilting on your embroidery machine. You will be amazed at how professional your finished quilts will look! Prerequisite: Basic sewing skills, quilting knowledge, and knowledge of your embroidery machine. BEST FOR MACHINES THAT CAN MANAGE A MAXI OR JUMBO HOOP (BERNINA) AND LARGE HOOP (BABY LOCK). For Bernina and Baby Lock Embroidery Machines Must be taken before any embroidery guide classes. This is a fashionable tote, great for everyday use with interior pockets and a perfect opportunity to use cork. This wreath can be used as a hanging door decoration or a table topper. It ismade using an applique technique and coordinating squares of fabrics. Very decorative for any holiday. Free motion quilting allows you to enhance any quilt with depth and dimension. Variations of this technique give you the ability to quilt a wide variety of stitches and designs with ease on your sewing machine. Beginner level. Kit Required. This class is designed to complete a unique project monthly. What a great idea to be able to have a gift for a loved one throughout the year. This class is very popular, sign up quickly as spaces are limited and you must assign yourself to a location. Using the Go Value die, get started with your accuquilt. This is a free pattern that comes with the die. The resulting quilt is filled with triangles and squares, and it?s a perfect size for a baby. Make it, Fill it, Roll it up, AND take it everywhere! Great for retreats, sewing classes, or hang it next to your workspace. Also, perfect for jewelry, cosmetics, school supplies, and whatever! Fun and easy to make! Even the zippers are easy to add! Whether you’re new to sewing or have not sewn for many years, this is your class. Explore new sewing products and techniques. We’ll learn to read a pattern and discover the fundamentals of beginner appliqué and cutting. 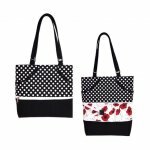 Learn topstitching, edge finishes, zipper insertion, and simple appliqué while completing this durable tote bag. This fun quilt celebrates positive and uplifting words for each month. Build the quilt two blocks a month across the year and enjoy a truly lovely appliqué experience that is art to heart. This is the perfect bag that gives you a little extra space when you need it. Simply unzip the dividing zipper to reveal five inches of extra space and an unexpected pop of color. The pattern features two sizes. For beginner sewers 7 and up who have sewn a little or have never sewn before. Children learn cutting, pressing, and stitching while having fun completing four projects. Projects include a binder cover, composition book cover, heart pillow, and zippered box. Class limited to 8 students. Expand on sewing abilities as you make a small tote bag, pin cushion, scissors holder, small organizer, fabric box and sewing machine pocket organizer mat. 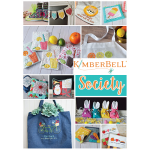 Come join in on the fun and make a Kimberbell bench buddie pillow to matchyour Bench pillow or just make these cute pillows all on their own. This class is designed for those people who have a desire to learn to quilt. We will cover all the basic skills needed to become a quilter, while producing your very first quilted project – a wall hanging. The following subjects will be covered: quilting terminology, reading a pattern, cutting, piecing, pressing, appliqué, borders, adding a sleeve, binding, and label making. In a few short weeks you will go from novice to confident beginner and ready to take on your very first full sized quilt project. Come join our “Block of the Month” party, as Diane guides you through some of Jenny Doan’s most popular quilting techniques and ideas. 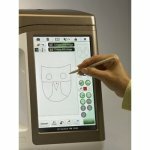 Are you ready to expand your machine embroidery skills? Become a machine embroidery ?Graduate Student? at Aurora Sewing Center, and you will learn 12 new techniques during the next year! Learn alongside Scott and Alyssa as they guide all of you through the techniques monthly, you will work on a project in class to help master the skill before you head home! All machine brands are welcome, multiple file formats are available. Start a new project or finish an old one. No phone, no interruptions, and lots of fun. All levels welcome. Start a new project or finish an old one. No phone, no interruptions, and lots of fun. This is a new class that we will highlight a variety of designers and fabrics. On splendidly small scale! We will be using designers such as Kim Diehl, Doug Leo, Jo Morton, and Bonnie Hunter just to name a few. We will still keep it to little quilts but that have three big benefits: they're stash friendly. they're quick to finish, and they're as cute as can be! Looking for a fun night out ? Or just looking for something to do with friends or family? Bring a bottle of something to drink and enjoy an evening of relaxation and sewing. Abbey will teach you simple sewing/embroidery techniques while you make a fun project. We provide the machine and the kit is included. The Sleepy Hollow Quilt by Thimblecreek Quilts is presented as a Halloween design. In this class take on a creativity challenge and transform this quilt into something other than Halloween. Consider a barn theme with quilts on your barns. Or make it into a story quilt with mansions. This is Accuquilt & Stripology friendly, and will thrive with fat quarters, and you may dip into your stash. What fun! This is an awesome creative grid ruler that inspires fabric play while teaching you how to keep your points. Learn how to utilize a color wheel as you select colors and then put a square inside another square. Make a table runner, wall hanging, placemat or small quilt. It?s up to you! Join us once a month to make a seasonal tea towel. Each towel you will sharpen your applique skills using the open toe foot on your machine. In addition to being an awesome looking bag, and at 11?x10?x5?, a perfect size, the Jangles Anchor Bag is a great bag for learning many new techniques. Not only will you use gorgeous hardware, you?ll also learn how to insert a zipped central divider and how to make closed end straps. The pattern also includes instructions for a zip pocket and a slip pocket, as well as instructions for an optional cross-body strap. We?ll learn how to use zippers as piping and how to use the eye-catching Strap Anchors that help give this bag its structured feel.